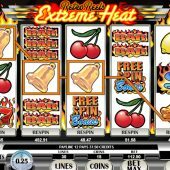 Retro Reels: Extreme Heat slot slot brings the classic slot machine idea online with 30 paylines in total and consisting of 5 reels and 3 rows. The theme of this slot is both retro and AWP and is a Microgaming game, available on mobile and desktop. 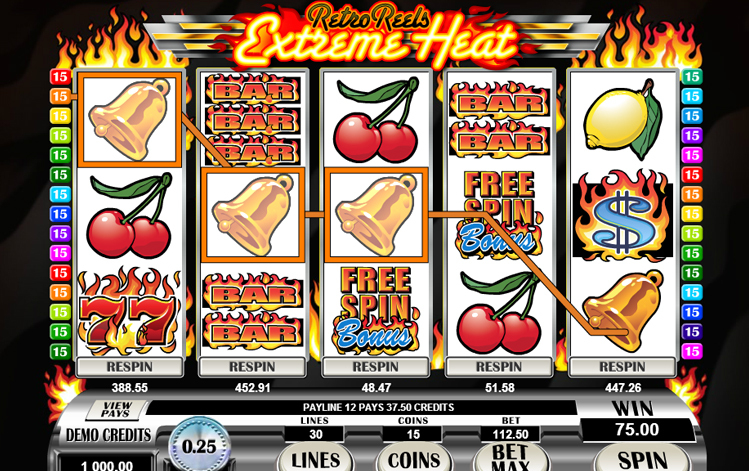 The bonus feature in Retro Reels: Extreme Heat offers 2x multipliers and 15-25 free spins which can open up some really impressive wins. The Theoretical RTP (return to player) on this slot is 97.50% and it is considered to be a medium volatility slot. A warning to players, some of the noises and alerts in this game are extremely annoying. In particular the sounds indicating where the re-spin button is can drive you up the wall. My advice is to turn the sounds right down or simply turn on mute. It wont bother everyone, but it certainly bothered me at times.